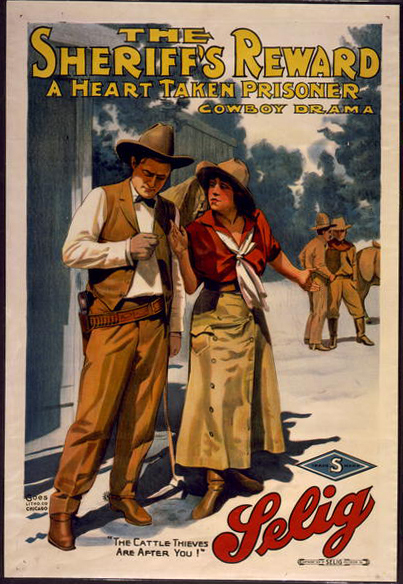 Title: The Sheriff's reward A heart taken prisoner : Cowboy drama / / Goes Litho. Co., Chicago. Summary: Cowgirl saying to cowboy, "The cattle thieves are after you!" Copyright to Selig Polyscope Co.